It’s been little more than a year since I sat down with Amy Darling, a film producer and friend, over a cup a coffee. I remember our last coffee date was shortly after we attended Cannes Film Festival in 2015, and even this time we still discuss about our crazy experience and berserk schedule we had that year. Our coffee talk was more than just a ‘catch-up’. It was about congratulating Darling’s upcoming screening of her film VIOLENT on October 13th 2016 in Calgary. “Yes, it’s finally happening”, said Darling as we tried to comfort ourselves with warm cups of coffee in our hands while watching the snow fall through glass windows. 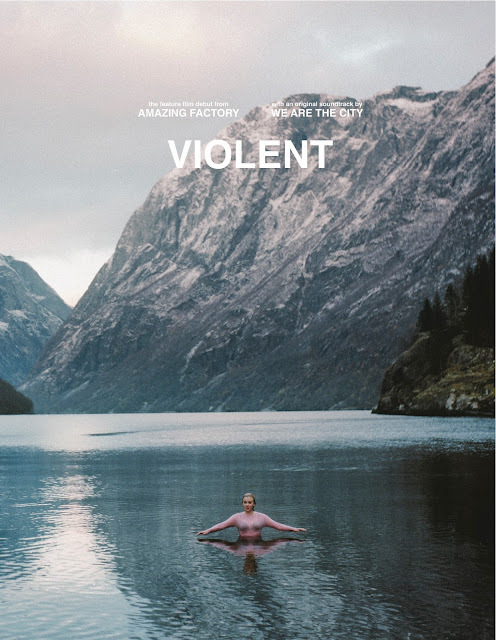 VIOLENT is a Canadian-Norwegian film created by Vancouver-based band We Are The City, and the project coincided the band’s album of the same name at the time. The film follows Dagny Backer Johnsen, a young woman longing to escape small town life and move to the big city. While in the city, her mother arranges her to work for a family friend. At the midst of a catastrophic event, Dagny recalls recent memories of the five people who loved her the most. With a small budget and team, which sometimes consists of less than 5 people at a time during shooting, VIOLENT conducts beautiful imageries and exercises the magnificent natural landscape of Norway. What is interesting to me is that even though the film is mostly in Norwegian, none in the crew speaks the language. And because of it, there is that raw connection between the audience and the film; knowing beforehand this is a Canadian production from people close to home and yet having the sense of curiosity perceiving the story as a foreign tale. The film has received critical acclaim by many film critics. It has been shown at Cannes Film Festival in 2014, and won numerous international awards including Best Feature Film at Leo Awards, Best Canadian Feature Film at Vancouver International Film Festival and Canada’s Top Ten at Toronto International Film Festival. Darling’s commitment and expertise as a producer to this project played a big role in the international success of this film. It’s her passion to facilitate a vision for incredible talented Canadians, especially for people like the guys in We Are The City, who took the project entirely outside of Canada. One of her goals is to bridge the gaps between Canada and the rest of the world. “I want to reinvent what we think of Canadian films,” said Darling, “I am interested in Canadians working on international projects and foreign language films”. I certainly agree to Darling’s analogy of staying in Calgary to pursue something you enjoy doing. I also owe this city a great deal when it comes to support. Having a big vision for a place with a niche market is not easy, but the success coming out of it is ten times more rewarding. It feels like you are one of the pioneers that drive the community forward. Like Darling, we both think that the “just do it” mentality influenced by the root of this place is the culture that gave way to Calgary --- I picked up my cup and took another sip of my light roast and Darling bit into her expensive eight-dollar ham and cheese croissant.